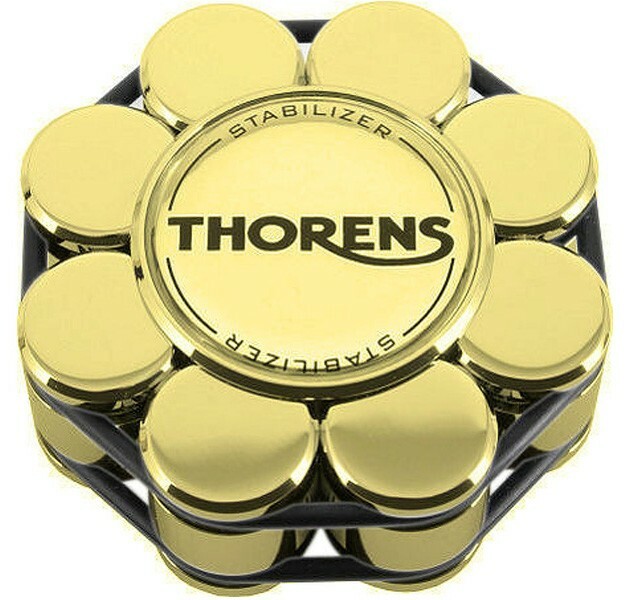 The Thorens Gold Stabiliser Record Weight is a new version of the popular record weight in a shiny gold finish. It is designed to sit over the turntable spindle to keep the vinyl flat and level during playback, improving stability and tracking. 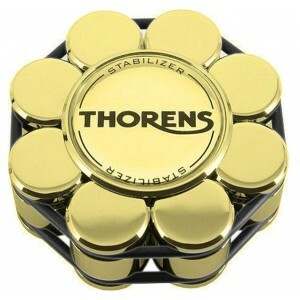 Supplied in a wooden box, this gold version of the Thorens Stabilizer looks stunning. 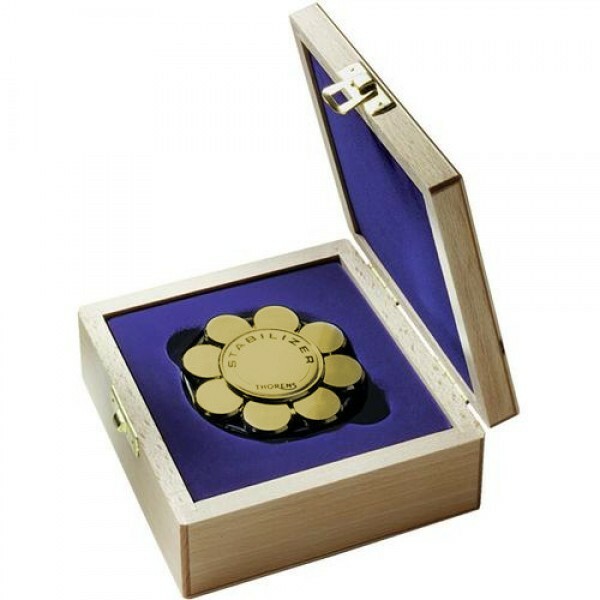 Suitable for both felt, rubber and cork mats, it will fit most Thorens and other model turntables with a standard centre spindle.